Let your pencil dance! : A film worth watching! I know this blog was initially set up to cover illustration and everything to do with art, but really it's to do with everything that inspires me so I had to include the film I've just been to see today!! 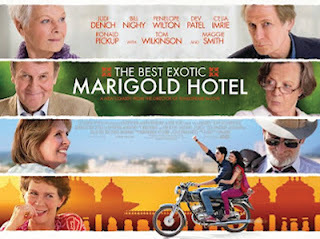 I had heard of The Best Exotic Marigold Hotel and I'd heard it was good but I hadn't been too bothered about going to see it!! Recently I've not been a big cinema goer, not enough time and also, I don't tend to go so much with friends as it's quite an unsociable thing... however, my mum had been to see it and she convinced me to go with her and our neighbour! I didn't know what to expect really. 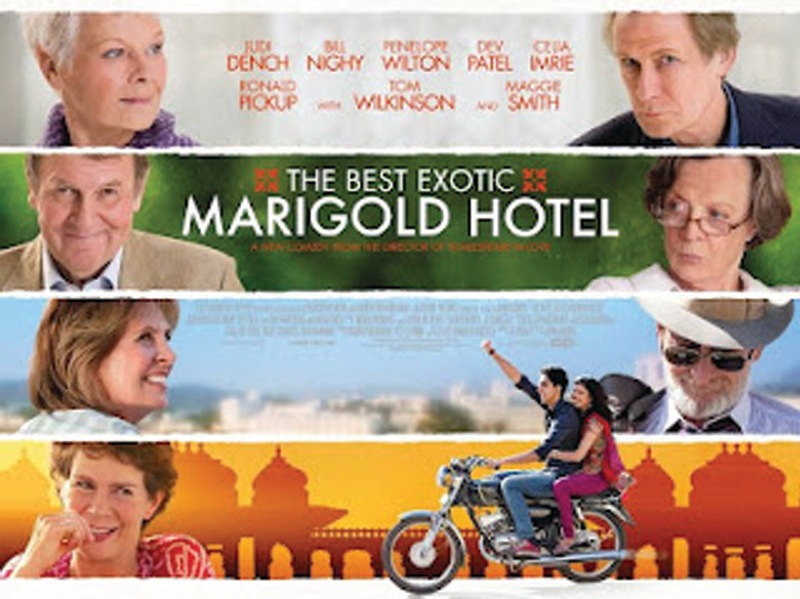 I knew it featured some amazing actors including Judi Dench, Maggie Smith, Tom Wilkinson and Bill Nighy but I didn't know the story. It blew me away & I can see why my mum liked it! Basically it tells the story of a number of 60 somethings who have all reached different stages in their life. A married couple whose daughter has lost their life savings through a misguided business venture, the gay man who has never got over his first love and the racist woman who needs a hip replacement but needs to go to India to get it done sooner! It's based on the book 'These Foolish Things' by Deborah Moggach and I quote "...by turns funny, touching and thought-provoking, not to mention, life-affirming, offering an alternative to the notion that retirement is little more than death’s waiting room. It demonstrates that there is still plenty of opportunity to embrace life – and even love – before the final curtain, especially if you head for Bangalore and a run-down hotel with ambitions to be the first in an empire of homes for retirees."